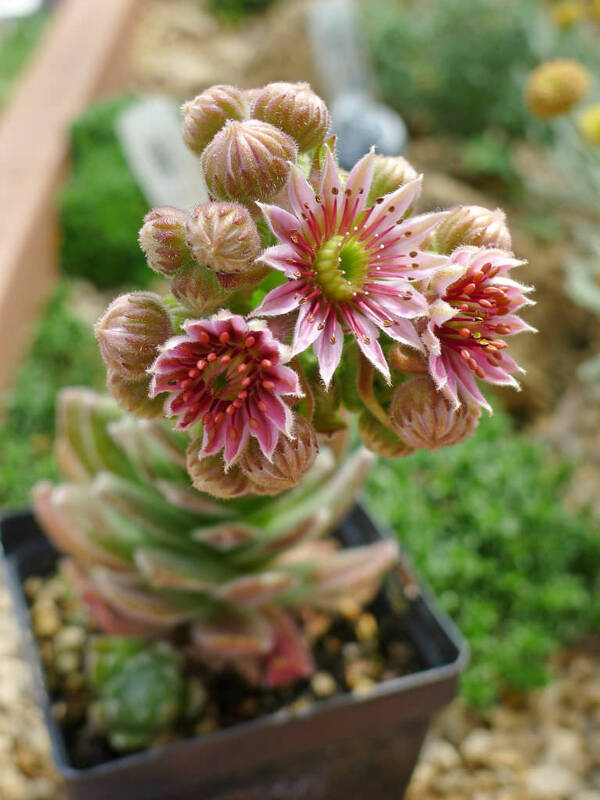 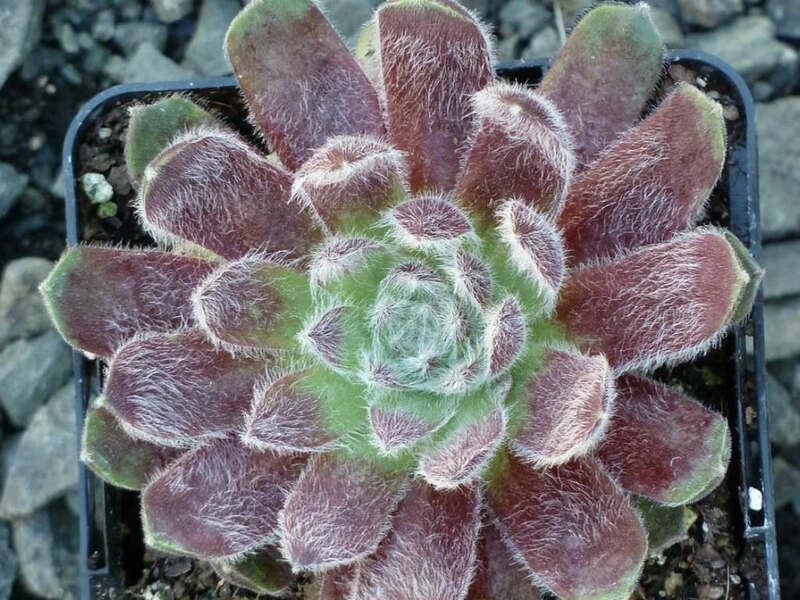 Sempervivum ‘Raspberry Ice’ is a dense, succulent perennial with tall flower stalks held atop a low mound of foliage. 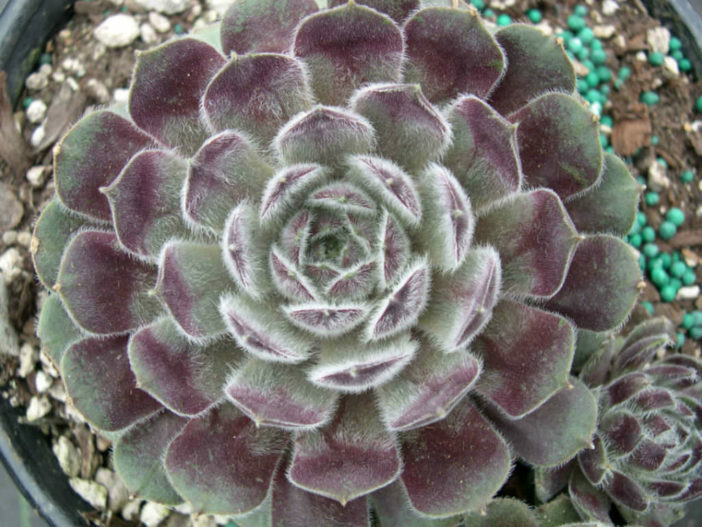 It has small rosettes with dense, symmetrical, raspberry-red leaves that mature more purple-red. 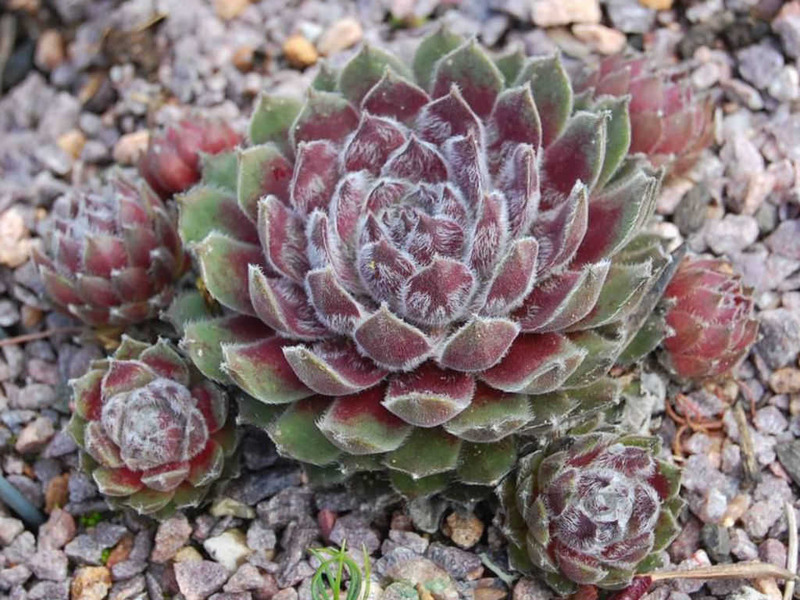 The rosettes are lightly cobwebbed with silver hairs. 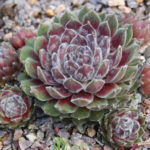 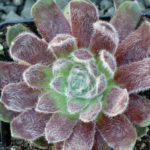 Its attractive, succulent, pointy leaves emerge light green in spring, turning burgundy in color with showy, violet variegation throughout the season. 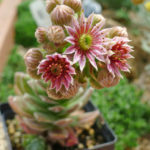 It features unusual clusters of shell, pink, star-shaped flowers rising above the foliage in mid summer.